Much has been said about the media "black-out" of Bernie Sanders' record setting rallies happening across the U.S. this summer. Of course, much of this discussion has taken place between Bernie's supporters and not among the members of the "establishment media" themselves. 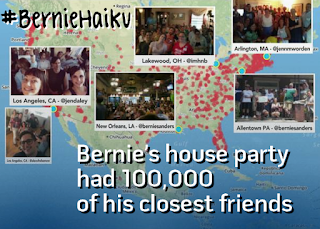 When talking to persons who aren't particularly active on the Internet, or who receive the majority of their political news through local/national newspapers and television/radio stations, supporters excitedly sharing their admiration of Bernie Sanders observe friends or family members scratching their heads and asking, "Bernie Who?" 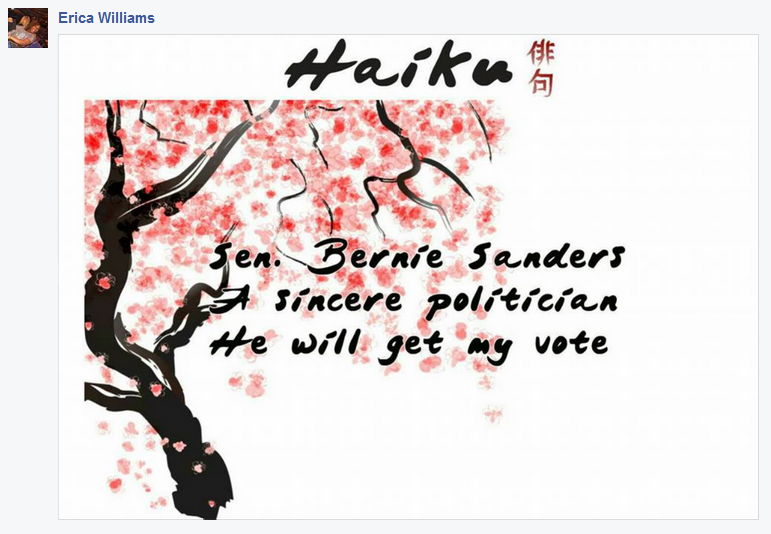 It's as if the outspoken independent senator from Vermont simply doesn't exist. Many feel this media black-out (or blatant ignoring) of Bernie Sanders' polling surge and well-attended events is due to their corporate owners. These print and broadcast media moguls are frightened of how a Sanders presidency might affect their profits. Would they have to pay their fair share of taxes? Would squirreling profits to offshore accounts in the Cayman Islands or Switzerland be outlawed? And, scariest of all, would they actually have to give their employees paid maternity/paternity leave, paid vacation time and promise their workers at least $15 an hour? Oh, the horrors! 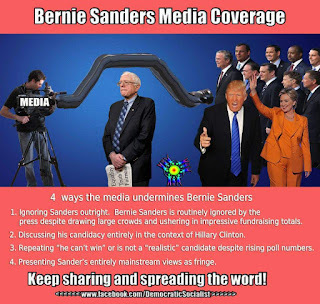 While ABC, NBC, CBS, PBS, NPR, CNN, Fox News, and the like, refuse to give much television/radio time to showing the rapidly growing popularity of Bernie Sanders, all is not lost for those viewers who'd like to hear and see the candidate in action. 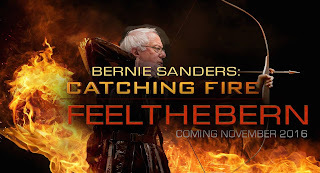 The Internet has come to the rescue of the wannabe informed voter with a variety of web sites and live-streaming services providing live and recorded coverage of Bernie events. Here are the links to just a few of them. 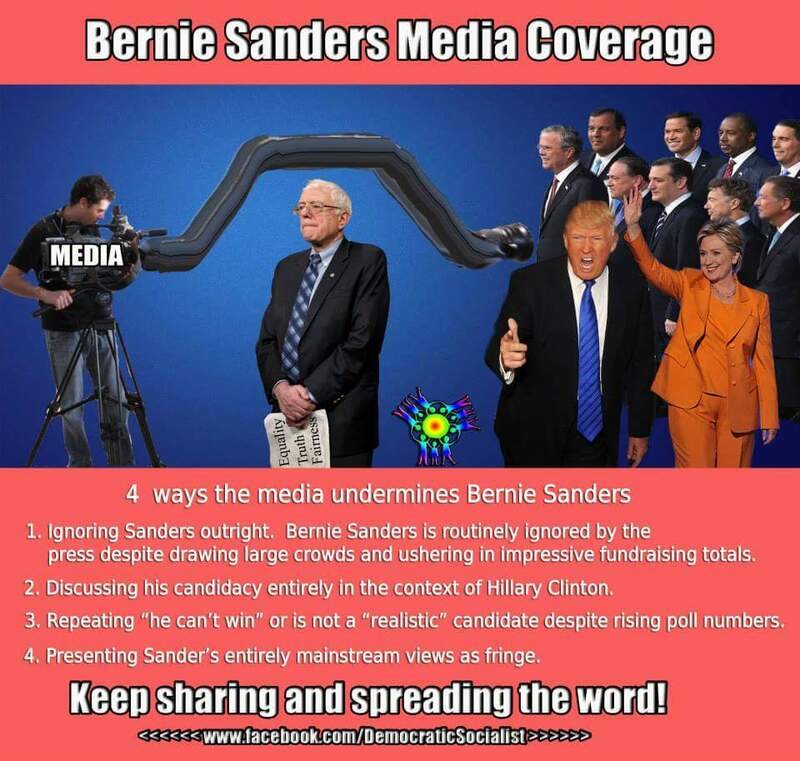 While it may not seem fair for the major American newspapers and television/radio networks to blockade decent news coverage of Bernie Sanders' run for the White House, the people will not be denied access to the truth. To quote those zany comedians of TV's Mystery Science Theater 3000 (who had trouble getting viewers for their show in its early days on Comedy Central): "Keep circulating the tapes!" Lucky for us, we don't need VCRs--we just need a decent computing device and Wi-Fi. So, Bernie supporters take heart and keep the "Bern-Out" going. Good news has a way of traveling and getting disseminated no matter what. We #FeeltheBern here at The Bernie Blog and want to do whatever we can to keep the information flowing. We'll see you at the Books for Bernie book and garage sale this week in Perrysburg, Ohio. 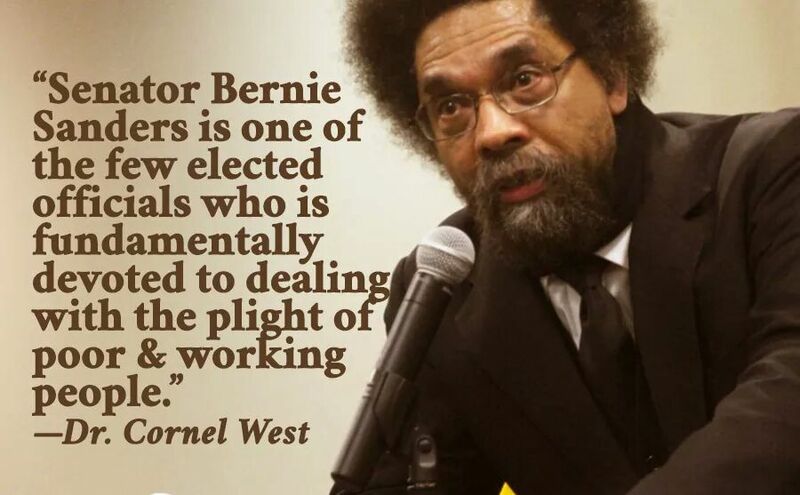 Keep spreading the news to all your friends and neighbors--vote for Bernie Sanders in 2016! 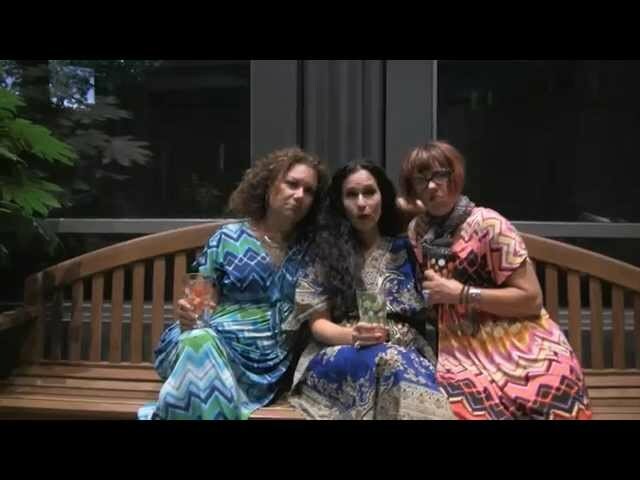 What Do Women Think About Bernie Sanders? 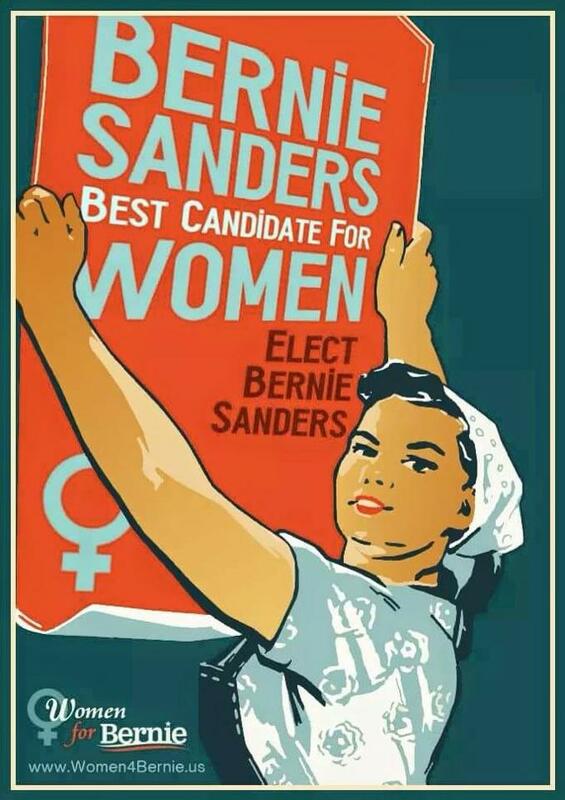 A lot of people are probably wondering if Bernie Sanders is attracting the attention (and votes) of female voters. Political pundits go on about how Bernie can only "attract people who look like him" and, therefore, he cannot be drawing women, minority or younger voters to his campaign. 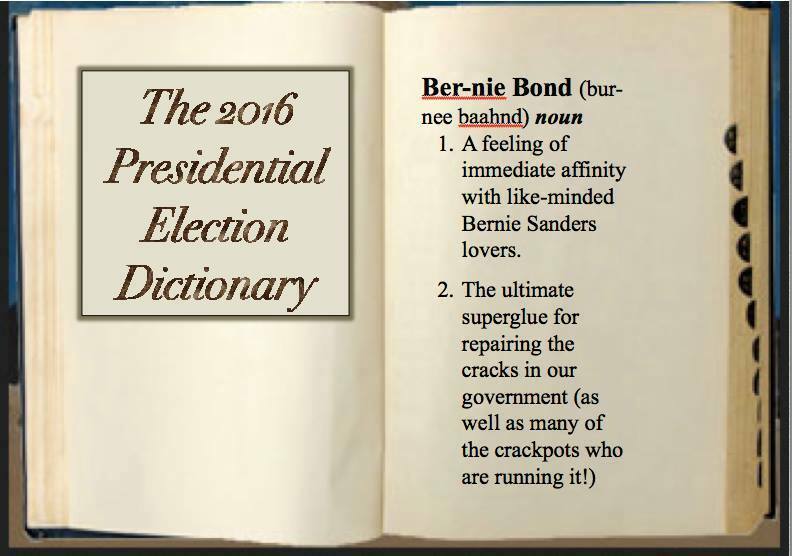 From what we at The Bernie Blog have experienced, nothing could be further from the truth. 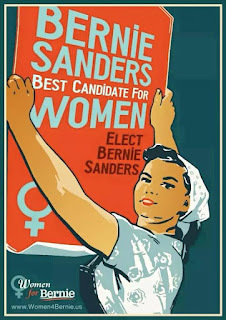 (How else can we explain Women for Bernie?) If you are still in doubt, listen to the voices of two women from two very different parts of the country--Hawaii and Ohio--and see what they have to say about Bernie Sanders running for the presidency. Millions are Feeling the Bern! It’s early in the primary season, and the democratic primary race is getting interesting. 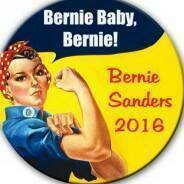 I’m excited about Senator Bernie Sanders from Vermont. His voting record shows he has worked consistently for social justice, the environment, civil rights, and the middle class during his political career. Pundits on the left and right all agree: Sanders is “authentic”, which is extremely rare in politics. He walks his talk consistently. Sanders is a leading voice on climate change, campaign finance reform, income inequality and getting big money out of politics. Senator Sanders is also outspoken on civil liberties, and has been particularly critical of mass surveillance policies such as the Patriot Act, and spying conducted by the NSA. 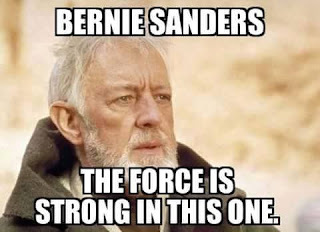 Bernie Sanders is rising in the polls, and he’s ignited the internet, especially Facebook. 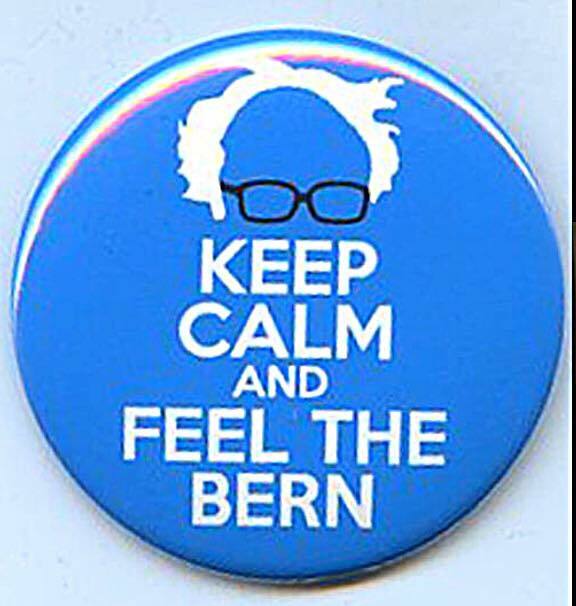 Millions are “Feeling the Bern!” Sanders message is resonating with Americans of all persuasions. I have a libertarian Christian friend who said he may well vote for the self-described “Democratic Socialist.” People are realizing we already live in a socialist society. Most of the institutions we hold dear are socialist programs, such as public funding of the military, highways and roads, bridges, public libraries, police, fire departments, US post office, libraries, garbage collection, public landfills, the EPA, Social Security, museums, public schools, public parks, sewer systems, Medicare, the courts system, and much more. Here's what Eloise Engman says about herself: Born and raised in Honolulu, I've lived on Maui since 1977, raising three daughters who are all independent women now. I've also lived in Seattle, Washington, and Pensacola, Florida. I have a special affinity for Letters to the Editor as I started a movement and organization (GMO-Free Maui) with such letters. Aloha! A drunk named Snowball was asking kids in the Philadelphia schoolyard for food. I ran home and told our mother, and she made sandwiches for me to take back to him. Jump ahead thirty years to Toledo, Ohio, where houses all around me are in foreclosure. It is the result of the government repealing Glass-Steagall (controls on capitalism) and that resulted in a huge corporate bailout. Subsequently taxpayers lost their jobs, homes, life savings. And not one corporatist on Wall Street has gone to jail. Add NAFTA to the mix and all the jobs have gone to China. Doesn’t that make you angry? 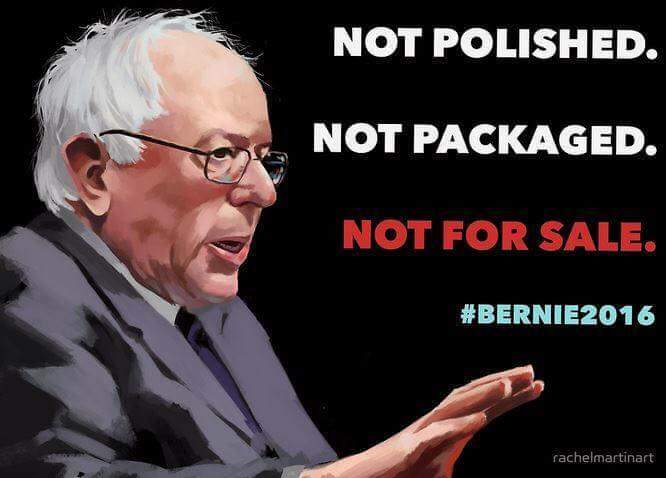 Bernie Sanders is a Democratic Socialist--think capitalism with a heart. That means he thinks all those people who lost their houses and their pensions and their kids’ college money have value and are not simply collateral damage. It means he thinks all those welfare breaks we gave Wall Street and the corporatists were really bad breaks for American citizens. Bernie Sanders reminds me that mom sent me to the schoolyard with sandwiches for Snowball. Not with the police and not with blame. I know in my heart that Mom was a Democratic Socialist. And I know for a fact she would have loved Bernie. Barb McMillen is a co-creator of The Bernie Blog. 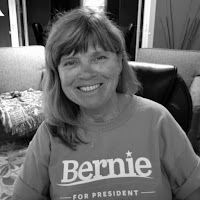 She lives in Northwest Ohio and is doing all she can to bring about Bernie's political revolution in the Buckeye state. Go Team Bernie! Got an event or a helpful web site link to share? One thing we learned from the recent Bernie Sanders get-togethers is that supporters of Bernie Sanders are an extremely creative and enthusiastic people. 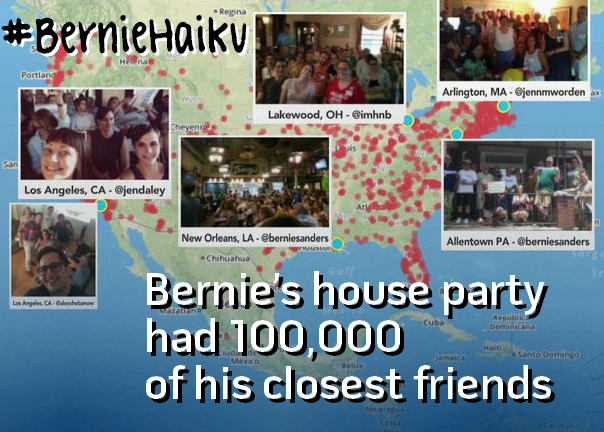 (Our new site banner above was created by Bernie supporter Jane Jefferies, for instance.) 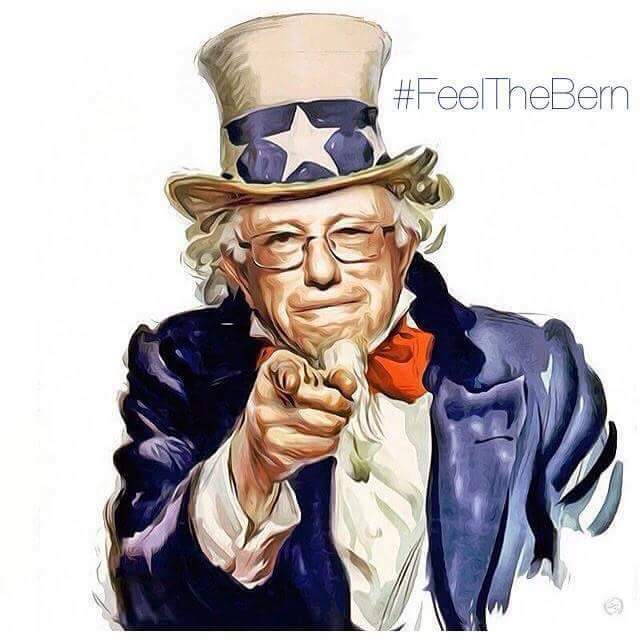 It’s refreshing in this day and age of “snarky” commentary and negativity in the media to come across folks full of such great joy, eager to share the good news of Bernie’s White House bid with others. They’re generally an optimistic bunch. They feel that our country will become a better place for all under Bernie’s leadership—and it will happen very, very soon! BERNIE, help us CHANGE ! And money can't buy justice. 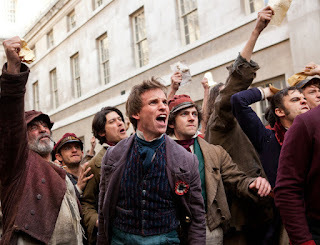 Do You Hear America Sing? We’re gonna see a good man win! Who will not be duped again! 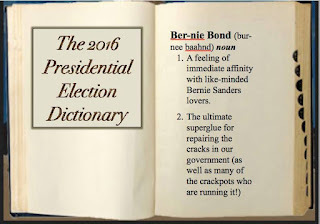 That will give the White House to Bernie! 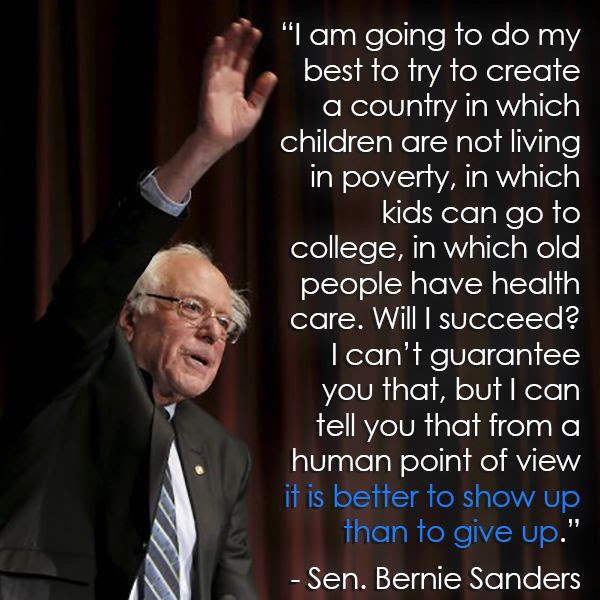 So Bernie Sanders may succeed? Will you stand up and state your need? Reform this great nation and terminate corporate greed! Have you created something unique that expresses your support for Bernie Sanders' presidential candidacy? Tell us about it in the comments below (share a link to it if you can) or email it to us at The Bernie Blog. We plan to post more haikus, short poems, song lyrics, graphics, and whatever else you care to submit throughout the campaign. After all, Bernie supporters are creative people, and we shouldn’t keep Bernie to ourselves—we need to share him with the world! 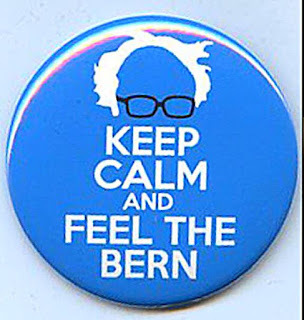 Wood County Bernie Meet-up: Sunday, August 16 at 6 PM at Grounds for Thought, 174 S. Main St., Bowling Green, OH. See you there! 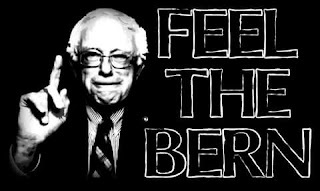 "Books for Bernie" (book sale) Event: August 25-26 in Perrysburg, Ohio. Go to the event page for more info on how to donate and/or purchase books. All proceeds will go to Bernie's campaign. Bowling Green Pride Picnic: September 5 in Bowling Green City Park. We're planning to set up a "Bernie table" there to share info and fun stuff with voters. See you there! Today my heart aches. I'm grievously disappointed in my people. The BLM disruption was a distraction. But, in that regard, I'm grateful that the end result of it will only be as significant as a slowdown in traffic on the highway due to an accident. I had started to speculate that the agitators were essentially hired shills, sent out by our enemies to slow our progress. I no longer suspect any such thing, and the reasons are simple. 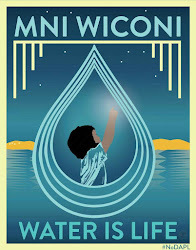 The BLM movement is an important and expanding campaign. It actually has that in common with the Bernie Sanders campaign. 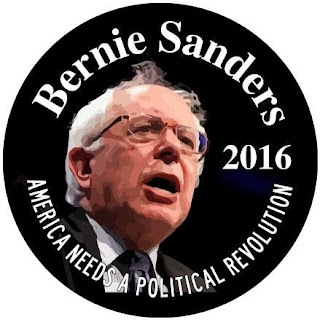 It's growing in stature and prominence (gratefully), but it’s nowhere near the level where Bernie is at. Bernie announces that he is going to speak somewhere, and how many people show up? You can't even count that high! BLM makes a similar announcement, what’s the head count? Sadly, you easily see the difference is breathtaking. The unfortunate truth is that the BLM movement has yet to gain traction or resonate in any way similar to Bernie Sanders’ campaign. I believe now that these women were motivated to take advantage of what they perceived as a weakness in our campaign. Evidently they thought (and wrongly so) that, by stealing some of the limelight, on their own they would not have been able to position themselves for, that they could personally get attention for themselves. Not for BLM. They wanted to gangster the whole Sanders rally and turn it into a me-me-me! type of show. The BLM movement will continue after all this. The Bernie Sanders campaign will drive on, ultimately concluding with Bernie becoming President of the United States. These two women? Nobody is even going to remember their names next week (if they aren't already forgotten). And the embarrassing disruption itself will get put into the context that it's best remembered as a reminder of how much further we have to go in this country where issues of race are concerned. 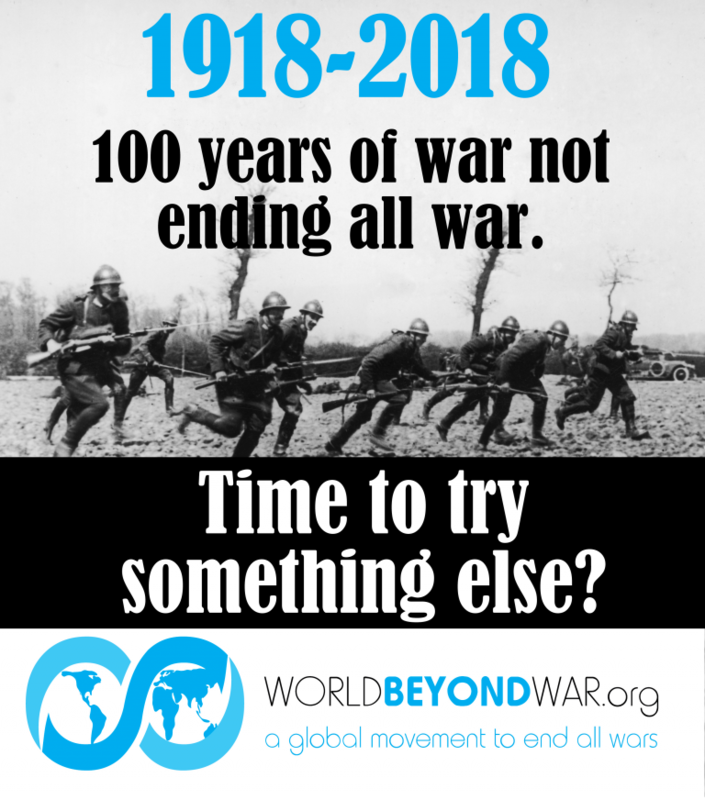 We should be natural allies in this battle against the 1%! The BLM movement is not our enemy. They should not feel compelled to lash out conveniently against Bernie because they can obviously see he is white. Not everyone who is white is evil. And not everyone who is black is your friend. Bio: Anthony Lewis lives in Indiana and is great at rallying his fellow Bernie supporters on Facebook. http://beknown.com/anthony-edward-lewis Go Bernie! Bernie Speaks b4 the rally event. I was two people away. Neat, powerful and inspiring.